Behavioral Health Network is accredited by the Joint Commission for meeting national standards in health care quality and safety in both the areas of Behavior Health Care and Hospitals. A team of Joint Commission expert surveyors visit our network locations every three years and evaluate it for compliance with standards of care specific to the needs of individuals served and families, including infection prevention and control, leadership, and medication management. Behavioral Health Network voluntarily participates in the assessment and has earned The Joint Commission’s Gold Seal of Approval™, which is valid for up to three years. The Joint Commission’s standards are developed in consultation with health care experts, providers, measurement experts, individuals served and their families. 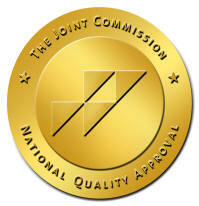 The Joint Commission is the nation's oldest and largest standards-setting and accrediting body in health care. For over 20 years, U.S.News & World Report has sought out the most prestigious hospitals in the U.S. through extensive research screening. 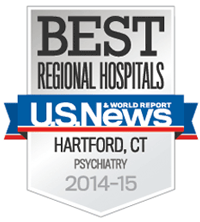 And, once again they've named Hartford Hospital’s Institute of Living among the nation’s top psychiatric facilities. Hartford Hospital’s Institute of Living enjoys a national reputation for excellence and is the product of a long and rich history. In more than 185 years of continuous service, the Institute is recognized for its comprehensive patient care, research and education, in the fields of behavioral, psychiatric and addiction disorders. Further information, including methodology, regarding the U.S.News & World Report list of Best Hospitals is available at: http://health.usnews.com/best-hospitals/area/hartford-ct.